Through a simple vision and a brilliant but risky execution, Indianapolis is the spot for sports. Indianapolis is the Racing Capital of the World, home to the NCAA Headquarters and has hosted more than 400 national and international sporting events over the past 30 years, including the final rounds of March Madness, Olympic trials and a Super Bowl—all thanks to an ambitious plan developed in the 1970s. The Indianapolis sports initiative began four decades ago with a group of civic leaders’ dream. Indianapolis does not have a tropical climate; it’s not situated on a beach; and it’s no New York. So, how would the city generate tourism? In the 1970s, former Senator and then Mayor Richard Lugar pulled together a group of visionaries (including then Deputy Mayor and now Vice Chairman of Pacers Sports & Entertainment Jim Morris, and current Visit Indy Board Chair Michael Browning) to develop a strategy to use sports as an economic driver to develop Indianapolis. At the time, the city only woke up one day a year to host the Indy 500. Although that is the world’s largest single-day sporting event, Indianapolis was otherwise a sleepy town with little tourism. Build sports facilities and hotels downtown as opposed to the suburbs. Host sporting events to bring visitors to the city. Attract governing bodies to relocate their headquarters to Indy. The starting point was building Market Square Arena in 1974 (demolished in 2001) in the heart of downtown for the Indiana Pacers, who were winning ABA championships. In 1979, the Indiana Sports Corp (ISC) was founded as the nation’s first sports commission to attract events to the area. Having this premier institution located literally a field goal kick away from Visit Indy’s offices allows for effective collaboration between the leadership and staff of both organizations. In 1984, Indianapolis made football history. Without even having a professional NFL team, the city built the Hoosier Dome (later renamed RCA Dome) in the downtown area. (In 1982, the city issued $47 million in bonds to build the Hoosier Dome. The stadium cost $80 million, but almost half of that cost was covered by donations from the Lilly Foundation and Krannert Trust.) The facility was built specifically for and was ready to host an NFL expansion team. In an infamous overnight move, a deal was made to relocate the Colts from Baltimore to Indianapolis. The recent developments and events no doubt helped pave the way to Indianapolis hosting the 1987 international Pan American Games, which remains the most attended Pan Am Games to date. In 1999, the NCAA national headquarters relocated from Kansas to Indianapolis. The NCAA had been dissatisfied with its Jackson County, Kansas suburban location, which was more than 40 minutes away from Kansas City International Airport and was not drawing visitors to the new visitors’ center. In 1997, the NCAA asked for bids for a new headquarters. Various cities competed for the new headquarters location with the two finalists being Kansas City and Indianapolis. Indianapolis argued that it was in fact more central than Kansas City in that two-thirds of the members are east of the Mississippi River. Also, the 50,000-seat RCA (Hoosier) Dome trumped Kansas City’s 17,000-seat Kemper Arena. So, the move was made to Indianapolis. The direct visitor spending economic impact of that deal is expected to be upwards of $2 billion. Adjacent to the headquarters is the NCAA Hall of Champions, which is a popular attraction for visitors. The headquarters and hall are conveniently located within walking distance of both the ISC and Visit Indy, allowing for a true team effort when attracting or executing collegiate championships. The latest phase of the plan occurred from 2008 through 2011 when Indianapolis invested $3 billion in tourism-related infrastructure to grow as an event destination and fulfill the bid that attracted the Super Bowl. A new airport was built from the ground up, the convention center was expanded to nearly double its size, and the three blocks of Georgia Street connecting the convention center and the Pacers’ Bankers Life Fieldhouse were transformed into an outdoor event plaza that would serve as Super Bowl Village. Additionally, the city built the world’s largest JW Marriott to increase the number of downtown hotel rooms to 7,100 and constructed Lucas Oil Stadium to replace the smaller RCA Dome. This expansion and development not only allowed Indianapolis to retain growing events, but to attract new larger ones as well. 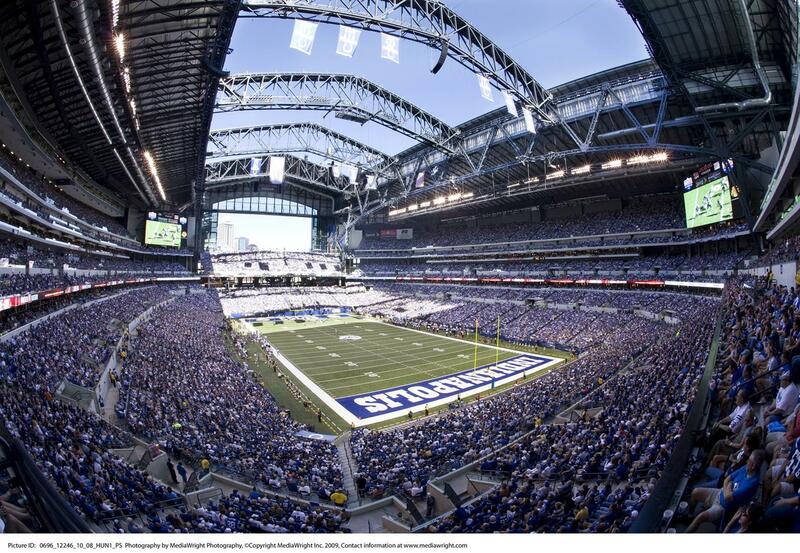 Super Bowl XLVI in February 2012 generated $175.9 million in direct visitor spending in Indianapolis. Lucas Oil Stadium, a versatile facility with football at its core, has a permanent seating capacity of 67,000 and has hosted Big Ten Football Championships, NCAA Men’s Final Four and Regional Basketball Tournaments, and NCAA Men’s Lacrosse Championship Quarterfinals. The stadium is connected to the convention center and 4,700 hotel rooms via a system of climate-controlled skywalks. 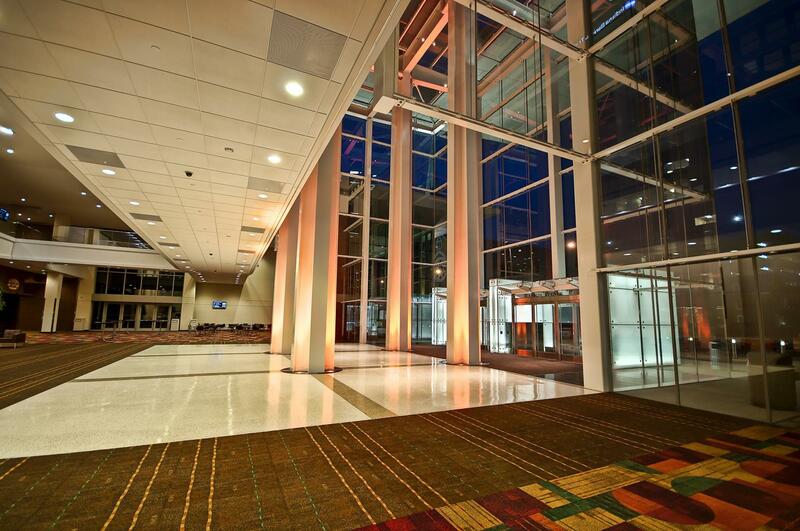 When a Super Bowl, Big Ten or NCAA championship is accompanied by a festival or interactive fan experience, it is conveniently located under the same roof in the convention center. 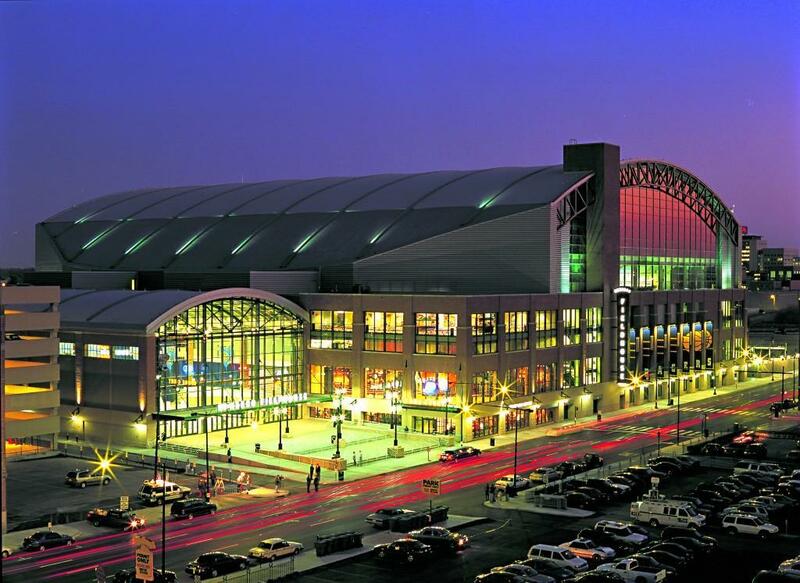 Bankers Life Fieldhouse is a retro-styled basketball arena with seating for over 18,000 that has hosted the Men’s and Women’s Big Ten Basketball Tournaments, NCAA Women’s Final Four, 2004 World Swimming Championships and professional rodeo events. 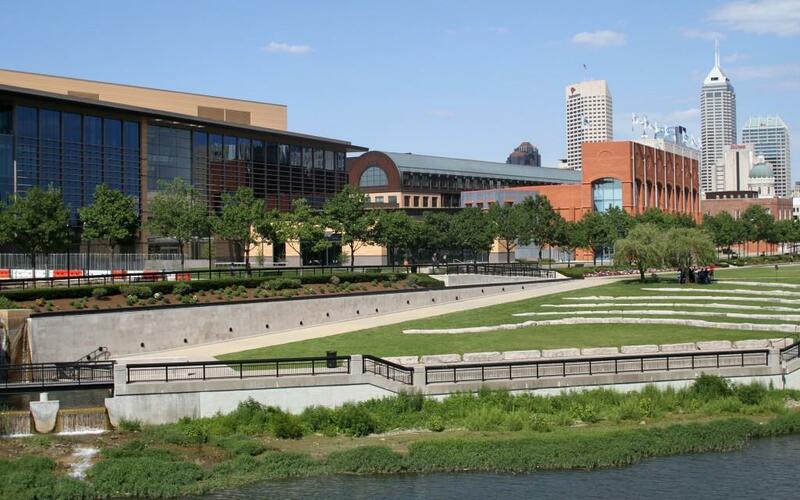 Just down the street, the Indiana Convention Center has played host to an array of events including several major cheer, dance and gymnastics competitions as well as volleyball tournaments. Each March, the center transforms into 110 indoor volleyball courts for more than 800 teams to compete in the Nike Mideast Qualifier. 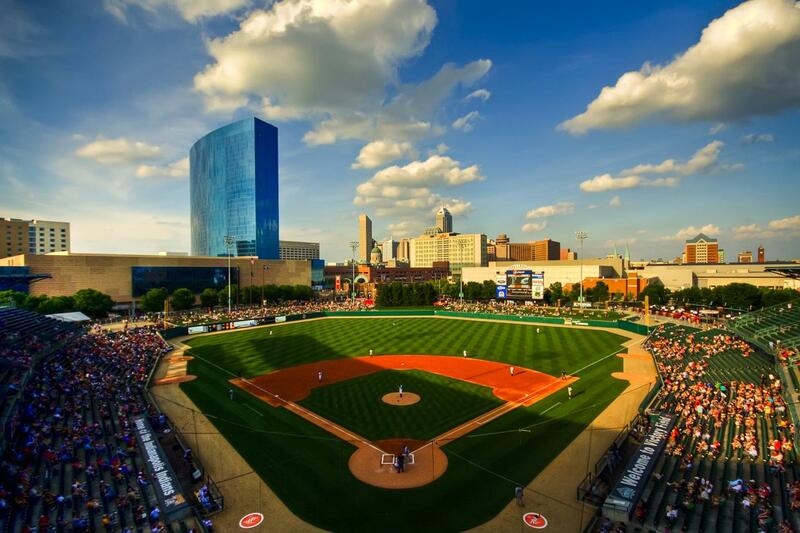 Victory Field is home to the Indianapolis Indians minor league baseball team. Look past the outfield to see the city’s skyline and you can even watch a game from the adjacent grand windows of the JW Marriott. The downtown campus of Indiana University Purdue University Indianapolis (IUPUI) offers two additional sporting venues. The IU Natatorium has hosted polo and synchronized swimming competitions in addition to the world’s most elite swimmers for National Championships and Olympic trials. With 4,700 seats and room for an additional 1,500, it is the largest indoor pool in the United States. The IU Michael A. Carroll Track & Soccer Stadium can accommodate all levels of soccer, lacrosse, field hockey, and track and field, but it has proudly served as the site of USA Track and Field Championships, Olympic trials and Paralympic trials. It is now home to Indy’s NASL soccer team, Indy Eleven. Other facilities are located just outside of the downtown area. Eagle Creek State Park has a 1,400-acre lake that hosts U.S. Rowing National Championships and NCAA Rowing competitions. 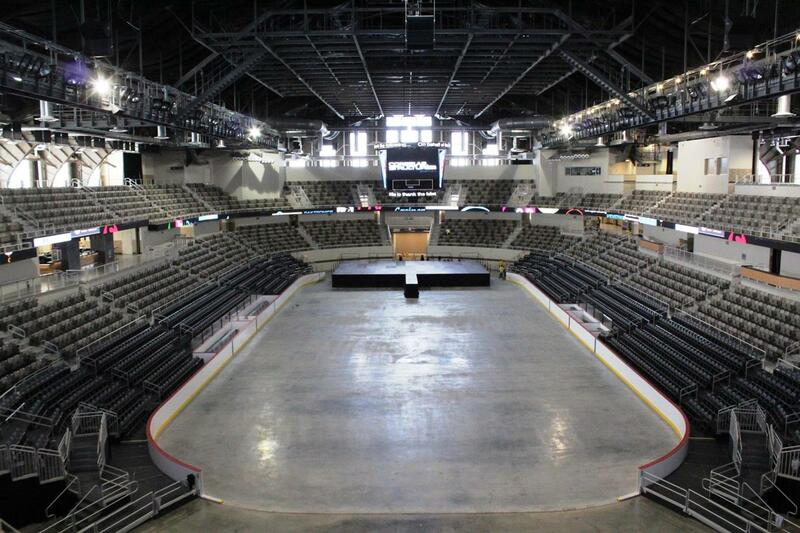 The 6,800-seat coliseum at the Indiana State Fairgrounds hosts sports events from basketball and hockey to rodeos. The 40-acre World Sports Park can accommodate cricket, hurling, lacrosse and international basketball. 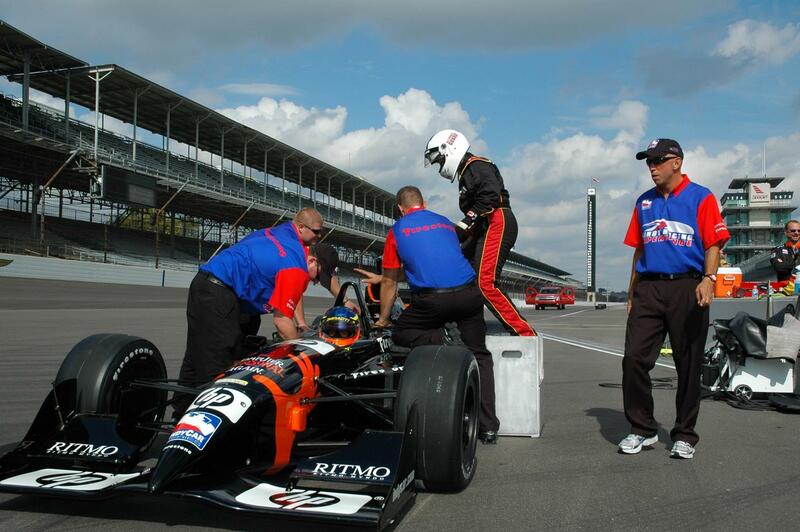 Indianapolis Motor Speedway hosts the Indy500 along with a plethora of other racing events. Adjacent to the track is the Indianapolis Motor Speedway Hall of Fame Museum. 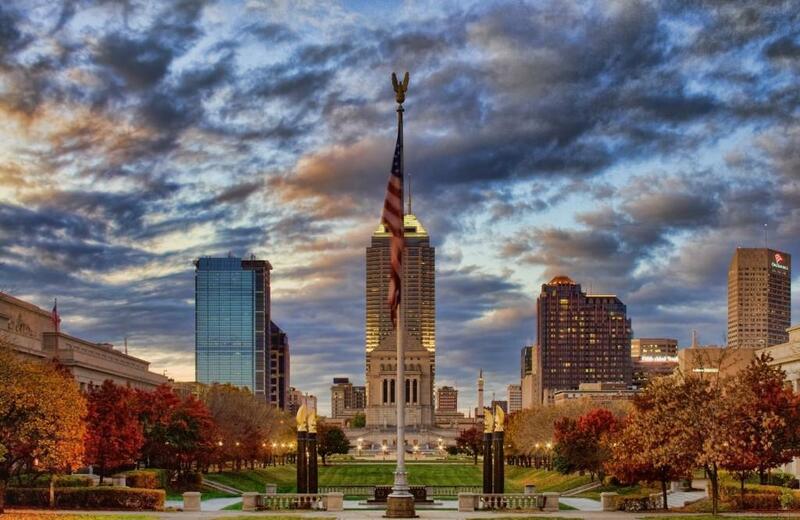 A distinct feature of the Indianapolis development plan that allows organizations like Visit Indy and the Indiana Sports Corp to attract a wide range of sporting events is having a variety of award-winning facilities that are all conveniently located downtown near hotels, restaurants and nightlife. The connected arrangement allows for an easy and fun experience for participants and fans.